The property was right on the beach. Our room was spacious and clean and had a nice balcony. I would definitely stay here again! The season had not yet really started and the beaches were not yet fully ready and cleaned. Beach, supermarkets, restaurants, kids play areas - all conveniently located near the hotel. The hotel food was good, breakfast choices were plenty. Friendly staff and my kid enjoyed the evening "show time" in the hotel. Overall, a very good experience! Helpful staff, amazing food, comfortable accommodation and great location. 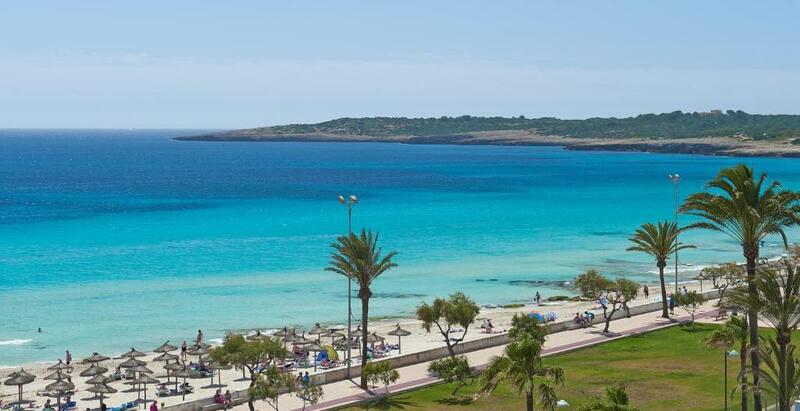 Excellent location (buses, beach, restaurants, high street, shops). This family hotel much smaller compare to next hotels but very clean, tidy, excellent service. 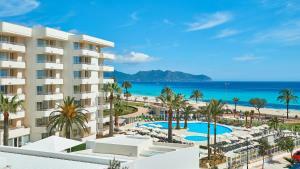 Location of this hotel in the middle of Cala Millor beach. Bus stop just outside of hotel (Safari Park or buses to Palma). High streets 5 minutes away. In front of hotel and around of hotel a few supermarkets (which is quit expensive). Supermarket and Lidl around 7 minutes walk. Good kitchen facilities to cook if you self catering. If you need some help, staff is willing to help you. Restaurant in hotel with good food selection and they keep changing menu regularly. If in future I want to return to Majorka I will definitely return to this hotel. 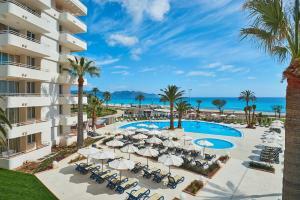 Excellent location in front of a lovely sandy beach. Most of the staff were very friendly. The one bed apartment was pretty spacious. Everything was perfect. Good space for a family of five. Located directly at the beach and the Cafe del Sol there was amazing live music every evening. The room was spacious and quiet. The view from the balcony was amazing, covering an 270 degree angle towards the beach. The pool was nice - but be early as other tourists tend to reserve their places! 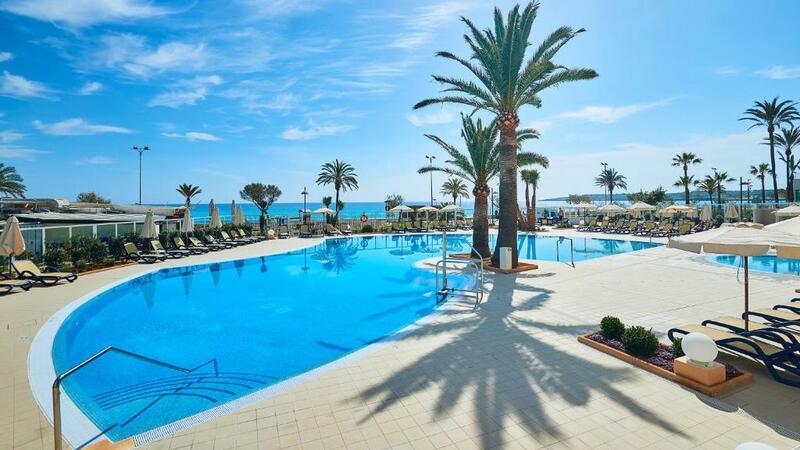 Lock in a great price for Hipotels Mercedes Aparthotel – rated 8.8 by recent guests! 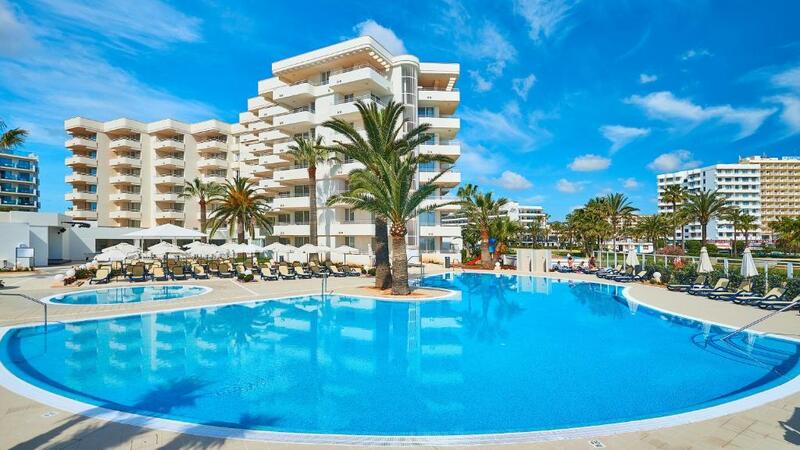 Hipotels Mercedes Aparthotel This rating is a reflection of how the property compares to the industry standard when it comes to price, facilities and services available. It's based on a self-evaluation by the property. Use this rating to help choose your stay! 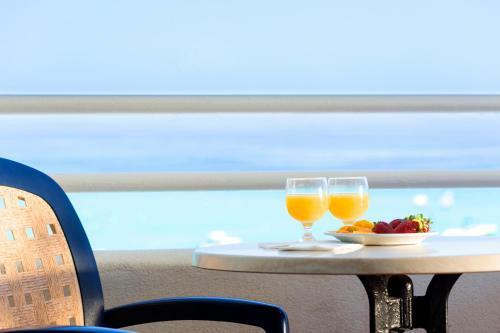 Apartments at the Hipotels Mercedes Aparthotel have a private terrace with sea views. 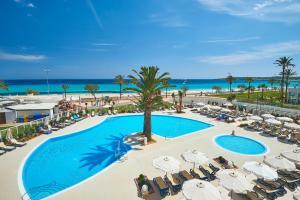 The aparthotel is set by the beach and offers an indoor and outdoor swimming pool, as well as free WiFi throughout. 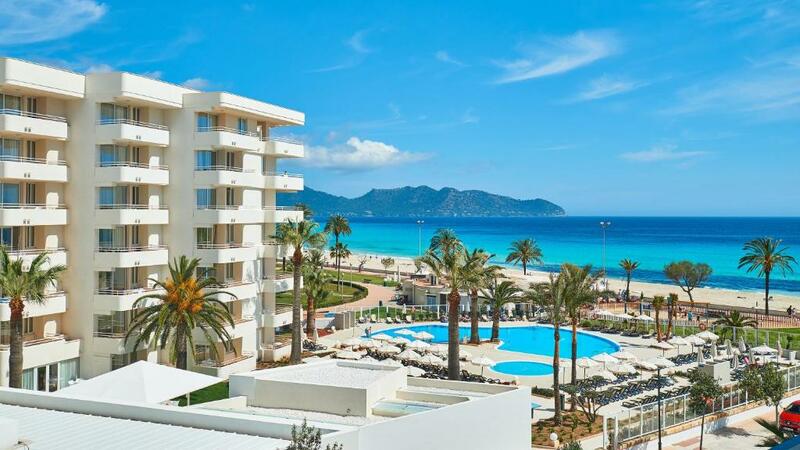 The Hipotels Mercedes is in the Cala Millor resort of Mallorca. The town’s main shopping mall is a short walk away. All apartments are heated and air conditioned. They have a small kitchen and satellite TV. Family, disabled and nonsmoking options are available. The complex has a garden, and there is a restaurant and bar on site. When would you like to stay at Hipotels Mercedes Aparthotel? This spacious, air-conditioned apartment offers 1 bedroom, a balcony and a bathroom with toiletries and slippers. The living-dining area includes satellite TV and a sofa bed, while the kitchenette features a microwave and fridge. 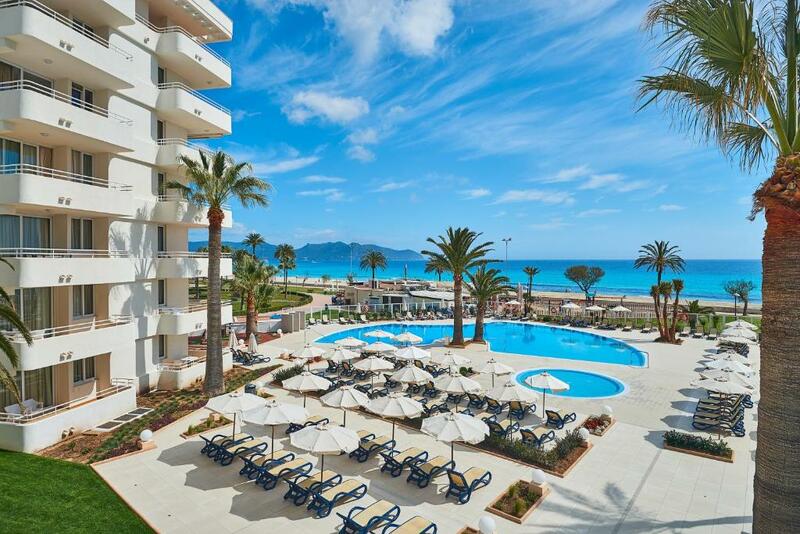 Hipotels Mercedes es un acogedor aparthotel situado en primera linea de mar en Cala Millor, Mallorca. Cuenta con todas las facilidades y servicios de un hotel, además de las comodidades que ofrecen sus amplios apartamentos equipados con cocina. Prefecto para sentirse como en casa durante su estancia, sin tener que preocuparse por nada. House Rules Hipotels Mercedes Aparthotel takes special requests – add in the next step! Hipotels Mercedes Aparthotel accepts these cards and reserves the right to temporarily hold an amount prior to arrival. Internet in lobby (takes time to download information +money). Only one person in reception. The hotel is dated and requires updating. The WiFi connection is poor and patchy. They make you pay for using the room safe which is unheard of. We paid for 7 bed and breakfast nights and did not receive breakfast on the last morning. I’ve emailed the hotel for an explanation and have not heard anything - unprofessional. Reception was 800 m away. Unclear how to check in. If you're used to sleep with open windows, the live music might disturb you until midnight. The staff could not speak english which lead to that we could not make us understanded. The view from the balcony was fantastic and the staff was very kind.